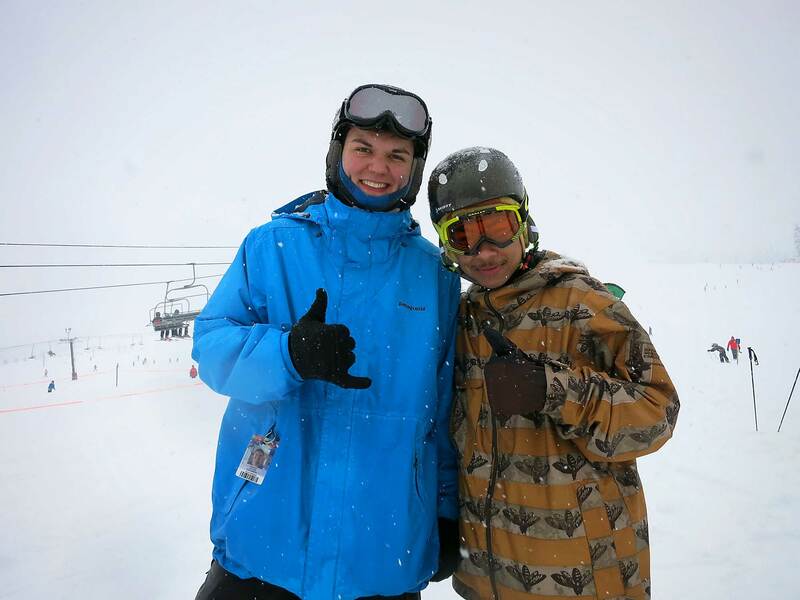 Tim Layton Shines as tSB Snowboard Instructor! Tim Layton, a former tSB youth and currently one of our Assistant Snowboard Instructors, stood out as one of the most helpful and dedicated Instructors this weekend at our first on-mountain day. tSB 2014 is lucky to have such a great coach working with our youth and mentors. Keep up the filthy instructing, Tim! Photo: Tim (left) and one of our Peer Leaders, Masra (right) taking a break from all the POW for our tSB Photographer!